Ever struggled to identify the name of a fish when visiting an aquarium? A campaign being held at three aquariums in Japan until the end of November will allow visitors to look up the names of fish and mammals as if they have an encyclopedia at their fingertips. The offering was made possible by a new app called Linne Lens, which allows users to look up not only basic information such as the names of fish and animals but also details of their native habitats, the risk of their extinction and nearby facilities where the creatures can be seen. The app works by pointing a smartphone at the animal in question. 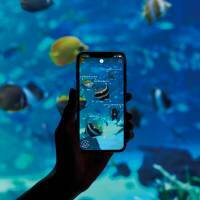 Sunshine Aquarium in Tokyo’s Toshima Ward, Toba Aquarium in Mie Prefecture, and Osaka Aquarium Kaiyukan in the city of Osaka have teamed up with Linne Lens to provide free access to the app for a limited time. At the Mie and Osaka facilities, the app’s coverage will be limited to certain species or areas of the aquarium. All species at Sunshine Aquarium will be available on the app. The app works offline and is available in both Japanese and English. “At the moment we display information at the aquarium in five languages, but it would be physically impossible to continue to add more language displays for all of the fish,” said Shigeyuki Hayashi, a public relations officer for Osaka Aquarium Kaiyukan. Although the campaign is a temporary program for now, “we have high hopes in seeing how we can optimize apps and new technology to create a better experience for our customers,” he said. 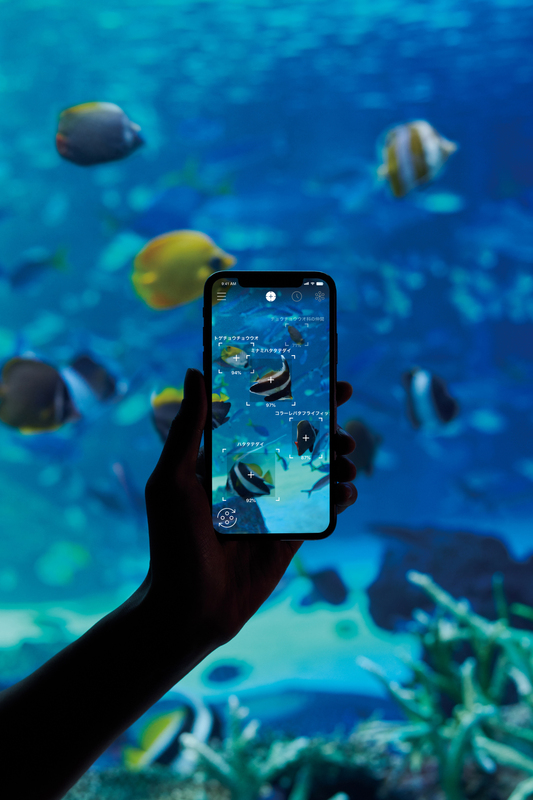 Up to 10 species can be identified daily on the free version of the app, but that limit will be raised at the aquariums during the campaign. Users can also pay for unlimited access. The app has been a hit with young children and foreign tourists since the campaign began two weeks ago, Hayashi added, especially because the app is intuitive and appeals to people of all ages and nationalities. Linne Corp., the Tokyo-based company that created the app, is working on making it available in other languages such as Chinese and Korean, said Kenichi Sugimoto, the firm’s president. “We hope that by making our app available in more languages, we can reach out to more inbound tourists” as well, he added. Sugimoto, an avid diver, said that he first conceived of the idea for the app while scuba diving. “I wanted to create an app that would help me identify and record the underwater creatures I would encounter when diving,” he explained.